"I can see beyond the meadows and the fields, I can see forever . . ." Who is that? If you think Crystal Lewis, you're mistaken. It's the debut album from Nikki Leonti, Pamplin Music's newest artist. Nikki sings with a passion and power not often found at only sixteen years of age. She can deliver a lyric with such finesse that you have to stop and listen. The light, airy "It'll Be Alright" opens Shelter Me. With a call to be more like Jesus, "Alright" delivers musical substance. Next up is "Everlasting Place," a Crystal Lewis-flavored melody. "Heavenly Place" features the best lyrics on Shelter Me with a colorful description of Heaven. "What You Did For Me" shines musically. This song changes keys rapidly, in essence, changing the progression of the music as well. This is truly amazing music. Next up is a classic duo between Nikki and John Elefante. "Love One Another" is a must-hear. "Now I Believe in Miracles" features terrific musicians, including a jazzy trumpet solo that's not to be missed. 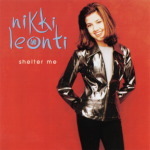 Nikki only wrote one track on Shelter Me, but it is wonderful. "One World" states that "Our world will be one world with Jesus Christ." "One World" closes this disc with a glorious finish. Shelter Me only contains ten songs, but it is very much worth your money. It's exciting to think about all Nikki will contribute to contemporary Christian music. FFH? What kind of a name is FFH? FFH actually stands for Far From Home. Soon, FFH will stand for great music. Their debut disc, I Want to Be Like You, showcases the group's superior vocals and earthy melodies. The disc opens up with "One Of These Days." This is great opening song, and the powerful vocals prove that FFH is a band to love. Next up is "Take Me As I Am," which is a great song for youth groups and concert-crowds alike. Other great songs include "Fall to You" and "So Is His Love." Three tracks on I Want to Be Like You are truly exceptional. The title track features terrific, thought-provoking lyrics. "When I thirst, You will quench me. When I hunger, You are the bread for me. When I kneel, You already heard me. You are there for me, You're always there for me." Great poetic verse! "I'm Alright" features upbeat vocals by Jennifer Deibler (wife of fellow FFH member Jeromy Deibler.) In this male-dominated recording, this track with a female lead is refreshing. Finally, "Big Fish" is a fun, radio-friendly song. With its modern retelling of the story of Jonah and the whale, you can bet "Big Fish" will be a must-have at all FFH concerts. At first, FFH will remind you of Jars of Clay. The male vocals, prominent drum sessions, and organic music all sound the same. But after a few spins, FFH takes on a musical niche all their own. Picture your dream recording by Michael W. Smith. What would it be like? Chances are, Live the Life would be the result. WoW 1998 premiered "Missing Person," the first single from Live the Life. I had never been a M.W.S. fan, but "Missing Person" quickly became one of my favorite songs of 1998. When Live the Life was released, I was not disappointed. The first track is "Missing Person," which clocks in at six minutes. After the first track, you soon realize that this is not your typical Michael W. Smith album. The obscure lyrics of "Love Me Good" will only whet your appetite for more. You'll lie awake at night pondering the meaning of such lyrics as, "But I could never live in a yurt on a diet of Mongolian barbeque, I conquer the world for a moment, then the moment is gone." And to think, the best is yet to come! Next up is the youth-group favorite "Live the Life." This song is sure to join "Friends" as a M.W.S. classic. You'll be stunned by the British-flavored ditty "I Believe In You Now," which is a modern-day retelling of the story of the Prodigal Son. And the upbeat, dance-pop tune "Don't Give Up" is more than just a cheery, sugar-coated tale of "things will get better." Later on in the disc is the slow ballad "In My Arms Again." Michael, Joanna Carlson, and Cindy Morgan actually wrote this for the Titanic soundtrack. Although it didn't make the final cut, you'll be glad it was included in this recording. However, my personal favorite on this disc is the piano-based melodies of "Matter of Time." With lyrics like, "Always wishing, always hoping, that she'll get the message, from the bottom of my heart . . ," we get a rare glimpse of Michael's inner, personal feelings. A great song that's sure to become popular at wedding receptions. The only downfall on Live the Life is the instrumental, Irish-influenced "Song for Rich," a tribute to the late Rich Mullins. Yes, I was deeply saddened by Rich's passing, but we all know that Rich is truly home now. This song only slows down the flow of the disc. Hey, one so-so song doesn't make an album a bomb, and Live the Live is no bomb. With great lyrics and fresh new music, this is an album no CCM fan should be without. CCM's teen wonder hasn't fallen for the musical pit called "the sophomore release." With her self-titled release, Jaci Velasquez proves that the second time around may just be gold. In Jaci Velasquez, Jaci's musical style has evolved into a very mature sound. Certain songs are tender ballads with gentle melodies, while other songs are bouncy pop tunes with rock undertones. Every song has its own style and feel. Good qualities! In my opinion, though, this album lacks the lyrical depth of A Heavenly Place. I just found that these soungs were not as profound and moving as the lyrics of such tunes as "I Promise" and "We Can Make a Difference." As always, there are notable exceptions. Both the English and Spanish versions of the Dove-nominated "God So Loved" are very moving. I also enjoyed the song "Glory." The lyrics speak of searching for glory in a hopeless world. Very realistic! I've been asked why I view Jaci Velasquez to have weaker lyrics than those on A Heavenly Place. Although Jaci only wrote one song, "I Promise," on A Heavenly Place, I felt that listeners could feel more of Jaci, the person, on A Heavenly Place. However, Jaci does convey the message of the songs on Jaci Velasquez, so the songs are still very enjoyable. This album does have it's good points and low points, but it's not a poor album by any means. Overall, Jaci Velasquez is still a good album, and it is one worth considering for your collection. Sierra is a little-known but harmonious trio composed of Jennifer Hendrix, Wendi Foy Green, and Deborah Schnelle. Their first two releases, Sierra and Devotion, were suberb. Each album charted new musical territory for Sierra. How does Story of Life stack up? 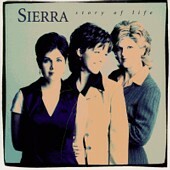 Unforunately, with Story of Life, Sierra settles for a musical niche based on the slower harmonies of Devotion. This, under normal circumstances, would be excusable. However, the sound of the music never changes! Every song sounds nearly identical. Only two songs stand out from the crowd. The disc opens with attitude with the rocking title track. The retro sound of "Color My World" wakes up the album about midway through your listen. Although I would not recommend this disc to everyone, Story of Life will please diehard Sierra fans. It's been almost three years since Steven Curtis Chapman has treated us to an album of totally new music. "Speechless" was worth the wait. The disc opens with the rock anthem "Dive." You'll be blasting your stereo with this song. The chorus is better than any rock song by any mainstream artist. Best of all, "Dive" is only the beginning. The next song, "Speechless," is pure, classic Steven. If you played "Not Home Yet" and "I Will Not Go Quietly" at the same time you played "Speechless," they'd all sound like the same tune. (Believe me, that's a good thing.) "The Change" encourages Christians to not just talk the talk, but live the life. "What about the change, what about the difference . . . What about a life that's showing, I'm undergoing the change." "Next Five Minutes" encourages everyone to "live the next five minutes like these are the last five minutes." Next is the pop tune, "Fingerprints of God," Steven wrote for his teenage daughter, Emily. The chorus of "I Do Believe" offers Steven Tyler-like vocals. The song "With Hope" was written after the shootings at Paducah, KY's Heath High School, Steven's alma mater. "With Hope" offers the peace that "we can grieve with hope, cause we believe with hope there's a place where we'll see your face again." Other notable songs include "Great Expectations," "The Invitation," "Whatever," "What I Really Want to Say," "The Journey," and "Be Still and Know." I've been told that no album could possibly be this good. What is the bad thing about Speechless? When the disc is over! If you think you already know Steven, you don't until you've heard this album. It will truly leave you "Speechless." I don't think anybody will ever top this disc, but I'm sure Steven will. It's just a matter of time. "Speechless" clocks in at over an hour, so it's a bit too long for one sitting. Take a break and read our "Artist Spotlight - Steven Curtis Chapman" . Although I would rather have an album of totally new material, "I Surrender All" is the comprehensive collection of pure Clay Crosse. The record begins with two new songs. "I Will Follow Christ" is a trio with Crosse, Bob Carlisle, and BeBe Winans. Put these three vocal powerhouses together, and you've got your next #1 single on Christian radio. Track two, "When In Rome," features vocals reminiscent of Russ Taff. Good stuff, if only lacking in quantity. The following fifty-odd minutes blend R&B, soul, jazz, rock, gospel, and pop into a musical Clay feast for the ears. A very satisfying listen. Some of the songs included showcase Clay's mighty voice. Clay puts his heart and soul into his rendition of the contemporary Christian music classic "I Surrender All." "The Blood Will Never Lose It's Power" proves that gospel isn't a musical field that's foreign to Clay. "The Rock (That Was Rolled Away)" is also a Clay Crosse classic. Want more? How's this for appetizing: "Saving the World," "Time to Believe," "He Walked a Mile," and "His Love Is Strong." As good as this album is, you can't help but wish that you were enjoying a new recording. Well, don't fear, because Clay is currently in the studio. The album is slated for a February 2000 release. They're back! It's the new Fab Four - Janna Potter, Cherie Paliotta, Michael Passons, and Jody McBrayer. This is the group's first album after the departure of Nikki Hassman, and fans expressed doubt over the quality of the "revamped" group. It is easy to say that "in a Different Light" is clearly Avalon's best album. The group's sound is very polished, and the songs radiate life and energy. The song "Take You at Your Word" sets the dance feel for the disc. The sweet melody of "Can't Live a Day" will have you singing along in no time. Other power tunes include "If My People Pray," "Only for the Weak," "In a Different Light," and "Let Your Love." In my opinion, this is Avalon's best album so far. Cherie Paliotta voice blends better with the group's sound than Nikki Hassman did. Avalon was a great debut album, and the group improved with the release of their second project, A Maze of Grace. With In a Different Light, Avalon has polished their sound and message. The production is superb. A terrific effort. A compilation of 4Him's fourteen number-one songs - need I say more? This disc opens with the power anthem "Real Thing." This song features soaring lead vocals by the group. Other classic songs include "Basics of Life," "The Message," "Great Awakening," "Center of the Mark," and "For Future Generations." I can not offer much criticism about Best Ones. This is an excellent compilation, "best of" disc. This is the definitive 4Him disc. Give it to a friend who's new to CCM, or buy it for yourself. Either way, it'll be money well spent! I'll be the first to admit that I cannot write completely objective reviews. (Could you really be objective about your favorite artists?) I like to focus my reviews on albums that I think you, the viewer, might like. I try to include artists I know you like and artists you might not know. With these reviews, I like to focus on the best aspects of the albums. However, it has been brought to my attention that I am not critical enough with my reviews. I recently updated these reviews to provide you with the best aspects of these works, even if that includes criticisms. I hope you like them.